Getting used to a whole new town is tough for anyone – but when you also have gravity powers, more problems than just learning the street layout are sure to land in your lap. 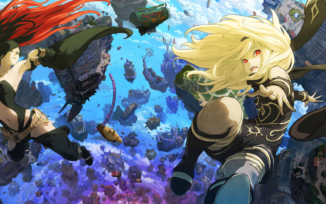 Join Charlotte, Jay, James, and Leah as they discuss whether the high-flying of Gravity Rush 2 is worth the path you need to tread (soar?) to get there. Cane and Rinse 353 was edited by Jay Taylor.